The Conduct and Discipline Team (CDT) advises and assists both the Head of Mission and other members of the mission leadership on addressing conduct and discipline issues relating to all categories of UN Peacekeeping personnel. This mandate is derived from the recommendations of the Special Committee on Peacekeeping Operations, the C - 34 -A/59/19 Rev. 10, which were endorsed by General Assembly Resolution (59/300 of 22 June 2005). CDT’s primary role is to receive, assess and refer misconduct allegations, subsequently liaising with the appropriate investigative entities, the Department of Peacekeeping Operations, Members States and various other UN, governmental and non-governmental agencies to evaluate them. Where misconduct has indeed occurred, CDT ensures remedial actions by coordinating the mission’s response to victims. CDT’s three-pronged strategy of prevention, enforcement and remedial action means that it also established measures to prevent misconduct, and enforce existing standards through capacity-building, sensitization campaigns and information sessions on policies, procedures and guidelines pertaining to conduct and discipline issues. What are the UN standards of conduct? All United Nations personnel, Volunteers and contractual workers are expected to uphold the highest standards of professional and personal conduct. They must respect their obligations as set out under the Staff Rules and Regulations, comply with local laws and treat the local population with respect and dignity at all times. Violations of the UN standards of conduct constitute misconduct. Violations of higher risk to the organization, i.e. violations that hinder the execution of the mission’s mandate and infringe upon the dignity and physical integrity of vulnerable persons, are classified as Category 1 misconduct. These include: Sexual Exploitation and Abuse (SEA), Serious and Complex Fraud, Abuse of Authority and Staff, Conflict of Interest, all cases involving risk or loss of life, and Substantial Violation of UN Regulations, Rules or Administrative issuances. Violations of lower risk to the organization are classified as Category 2 misconduct. These include: Personnel Matters (including harassment), Traffic Related Offences (e.g. unauthorized passengers), Basic Misuse of Equipment by staff, Infraction of Regulations, Rules or Administrative Issuances, Simple Entitlement Fraud and others. How can someone report acts of misconduct? Staff Rule 1.2 (c) provides inter alia that “Staff members have the duty to report any breach of the Organization’s regulations and rules to the officials whose responsibility it is to take appropriate action and to cooperate with duly authorized audits and investigations.” In addition, MINUSCA Code of Conduct reminds all UN personnel of their duty to report any allegations of misconduct that they either suspect or become aware of. 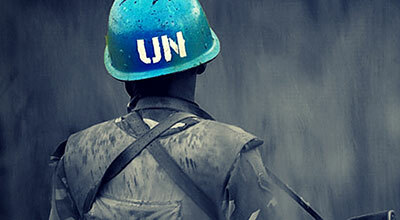 All allegations of serious misconduct should be reported within 24 hours of the occurrence of the incident or within 24 hours of any UN personnel member becoming aware of an incident; all other misconduct should be reported within 7 days of its occurrence or within 7 days of any UN personnel becoming aware of an incident. Allegations of Sexual Exploitation and Abuse may also be reported to Sexual Exploitation and Abuse Focal Points in the sectors. All allegations should be reported in good faith. Deliberately making false allegations or reporting allegations with malicious intent, if substantiated, constitute misconduct and are subject to disciplinary action. All information is treated confidentially while according due process to all parties and taking into consideration, the safety, security and well-being of the parties involved.